NOT AVAILABLE AT ALL LOCATIONS. AVAILABLE DURING LUNCH HOURS. DATES & TIMES VARY BY LOCATION. PLEASE CONTACT YOUR LOCAL BENIHANA. 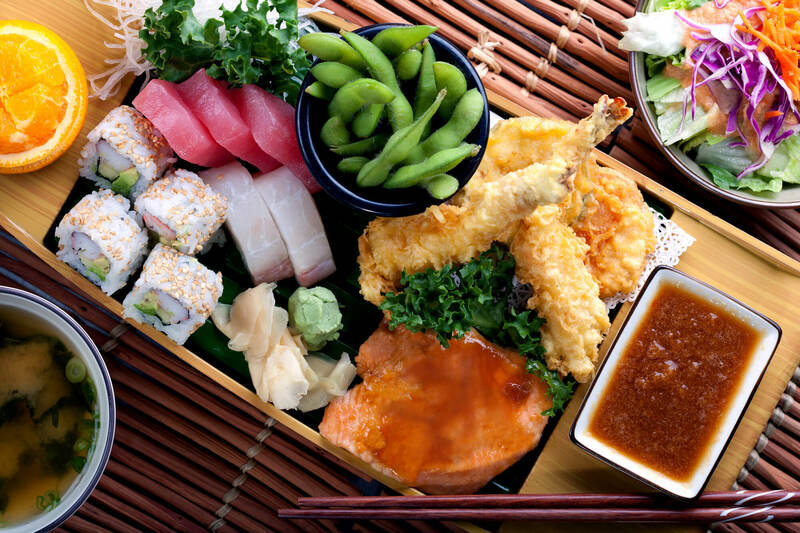 Lunch BoatServed with soup, Benihana salad, edamame, sashimi, half California† roll, shrimp and vegetable tempura, steamed rice and fresh fruit.